Being able to spend the week at Skyuka Fine Art Gallery under the watchful eye and talented hand of Richard Christian Nelson resulted in a renewed love of creating and painting still life subjects. It will be a treat to paint with Rich in the future. 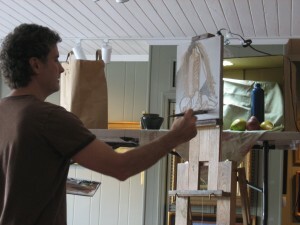 Rich Nelson giving a Still Life demonstration.